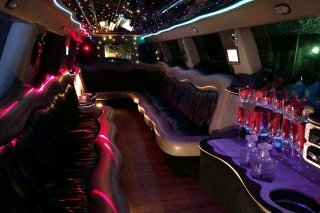 If you have an upcoming special function or event that requires the specialized transportation services of a limousine expert... Look no further than Atlanta Party Bus services! Whether your event is a bachelor/bachelorette party, wedding, tailgate party, concert, or a night out on the town, we have you covered. We're experienced in providing transportation for all kinds of events, and there is no limit to what we can do to make your party an even bigger success than it already is! 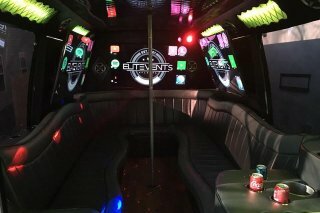 When it comes to wild nights out on the town, whether it's a simple and straightforward night of bar hopping and pub crawling, partying on Braves opening day, or a really once in a lifetime occasion like a bachelor party or bachelorette party, we are the company that you'll want to work with! We can get you there without any frustration on your part, avoiding the hassles of parking and allowing you to party even in between destinations. For more elegant affairs, such as weddings at the Piedmont Room or anniversary parties, we've got some truly beautiful vehicles for you to take a look at that are just perfect for the bridal party to travel in or for your best man and other friends to live it up in! It's also incredibly convenient to rent one of our largest buses to take a whole bunch of wedding guests to your local weddings that are still somewhat destination weddings. Let them skip the hassle of doing the drive themselves and put a professional chauffeur behind the wheel for them. You can rest assured that we have taken every step possible in procuring the best, most professional chauffeurs in our area. We overlook no details in our meticulous preparation and execution of your event. Your bus will be fully cleaned, safety checked, decorated (if requested), and stocked with cups and ice. Your comfort and convenience is our number one priority, and our attention to details is certain to insure your utmost satisfaction! Not a lot of other transportation companies will go so far to earn the trust and respect of their passengers, but we really believe that a happy customer is a lifelong customer, and that of course is what we are after! We'd love to get to know you on a first name basis as a result of serving so many of your events over a lifetime in Atlanta. This has been the case with so many of our clients, and we'd love for you to be the next. It doesn't matter if you're a personal customer in need of a limo for your private events or a business customer in need of transport for conventions and meetings, we will deliver the same consistent and quality level of service each and every time. Every party is important to us. No event is more important than any other. They're all number one. 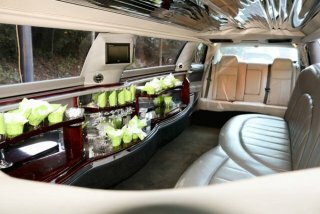 Whether it's your birthday or your wedding day, your teen's prom or your over the hill party, we will make you feel like a million bucks, knowing that you have chosen the ideal transportation at a price that makes you smile. Give us a call today to book one of our top of the line buses for your event! Regardless of your circumstance, we are able to handle it. With a wide variety vehicles we are able to meet all of your needs, allowing you to arrive at your destination in style. Reserve in advance so don't risk missing out on your ideal Atlanta limousine. Before you call, it's always wise to take a look at our site and all the pages of information that we have put together for you. Here on our site, you can take a tour of our beautiful vehicles, and we also invite you to come down to the lot and take a look at them in person. They're even more beautiful when you view them with your own eyes! Our pricing page will tell you more about our pricing policies and how we help to save money for our guests. Our events page gives you further info on the types of events that we typically service. The service area page details the areas that we usually travel within, but it's just a suggestion, not a hard and fast rule. The FAQ might just help to answer some of your questions before you ever reach out to us. When you are ready to call, you can get your instant price quote simply by telling us a few quick details about your event! Let us know the desired date of service, the type of event, and how many guests you'll be traveling with. There's no need for identification or credit card information until you're actually ready to book your trip. Call us for your completely risk-free price quote today!